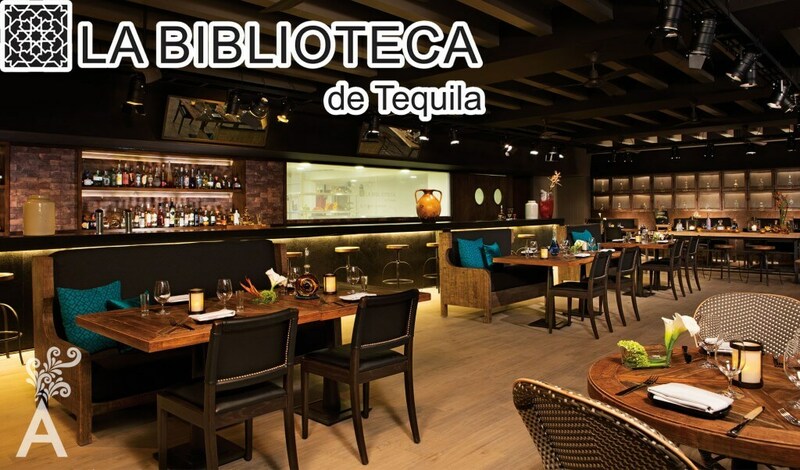 La Biblioteca de Tequila is the highlight of Breathless Resort & Spa. It is the first restaurant of its kind in Latin America by critically acclaimed Chef Richard Sandoval. 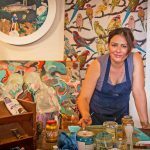 La Biblioteca includes two other successful locations in New York and Denver, Colorado. Dining is divided between two areas. Inside you will discover a unique atmosphere with rustic wooden tables, iron chandeliers, comfortable lounge sofas and tequila barrels. Outside, diners are entertained on the terrace overlooking the bustling marina, the activities surrounding the Arch of Cabo San Lucas, and a magnificent view of the sunset. The architecture and décor of the restaurant create an intimate atmosphere with a touch of mystery. The bottles lining the walls are organized into categories mirroring the concept of a library. La Biblioteca del Tequila boasts over 150 types of tequila and creatively mixed cocktails that are perfectly paired with dinner for a taste of Mexico. The menu consists of authentic Mexican dishes made from traditional recipes but with a modern touch. The varieties of chiles, one of the chef’s favorite ingredients, provides perfectly balanced flavors. Residents and tourists alike appreciate the versatility of the combinations found within this restaurant. 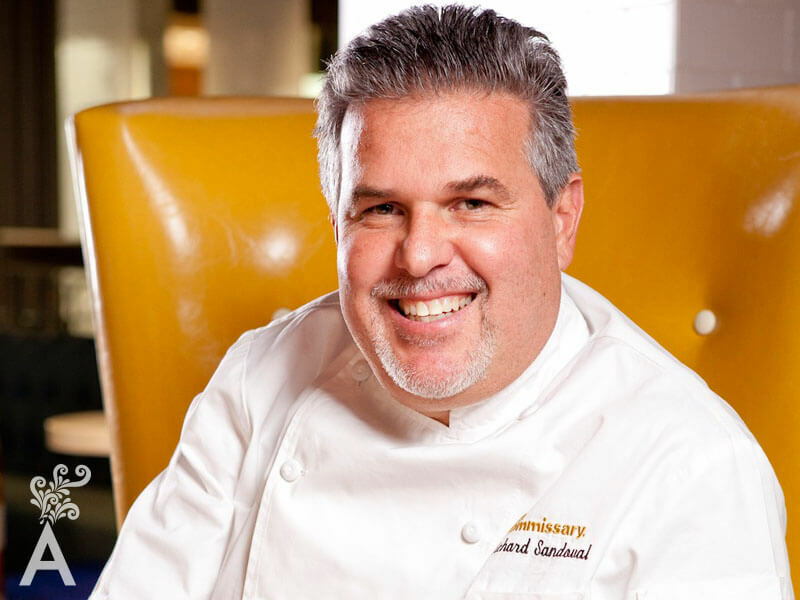 Richard Sandoval’s greatest achievement has been to open his first restaurant “Maya” in New York 30 years ago. In just the first year, the New York Times gave the restaurant two stars.